Leaving the beaten path of established ideas. 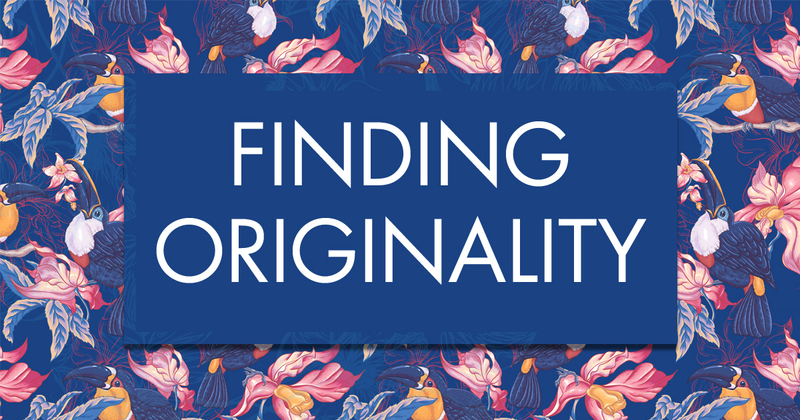 There is no such thing as an original idea, and yet originality exists. Everything has been done before, and yet new things happen all the time. If you gave the same design problem to 20 people, with the same guidelines, you would get back 20 different solutions. Nobody designs in a cultural vacuum. We react to existing designs, choose to include some of these ideas in our work, choose to exclude others, and come up with something new. Originality exists because the ways in which we synthesize existing materials is unpredictable, producing original new works. The website CSS Zen Garden, more popular a few years ago, showcases how the exact same content can be transformed by mere CSS code changes. You can also look to WordPress themes. WordPress themes are all doing about the same thing and yet there are untold number of themes available, all visually different. How does originality happen? What constitutes an original idea? We plug #UX into the equation. Our team is called upon to review other people's applications and give them feedback to help them improve. We usually give a presentation about UX design first then we look at their app. It is easier to give advice on poorly designed apps than advice on apps that are mostly correct. The reason is that broad, generalized pieces of UX advice solve most of the bigger problems. These ideas aren't original but they can be relied upon to work again and again for most design problems. They will get you most of the way there. The hard part is in the last push, to take an app from OK to great. This is where you need originality because the particularly unique problem that you are solving calls for a particularly unique design idea. A bespoke design solution requires listening to the unique requirements of a project and creating something new from existing materials. Because you are forging ahead into unknown territories, it involves a lot of trial and error. The way off the beaten path of generalized advice requires bushwhacking your way through the tangled mess of the unknown, knowing that sometimes you will have to head back and try a different way. The reward however, for breaking through to something new, is worth the effort.